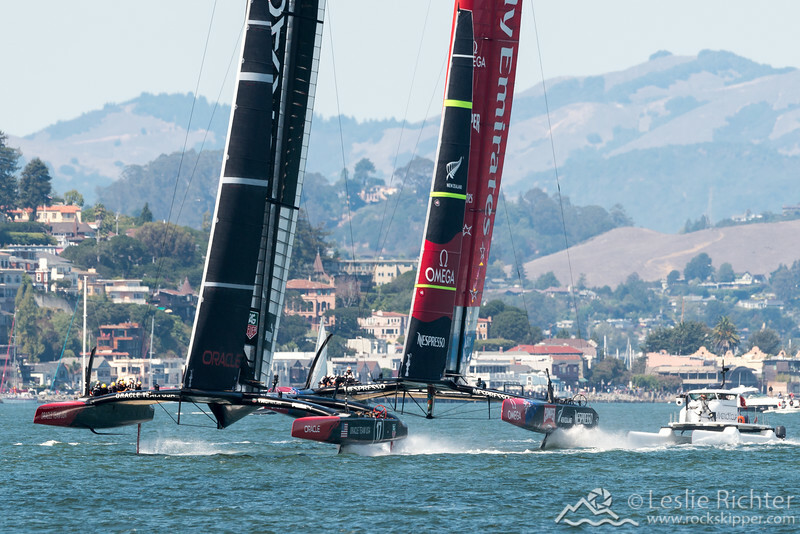 I've had some terrific vantage points for photographing the America's Cup! On the water; windward and leward ends of the course, and from Alcatraz with a view of the entire course. I was able to capture ENTZ's near-capsize - but the distance and lighting conditions didn't work in my favor. Still, it's a different perspective!